Samantha and Tabitha. 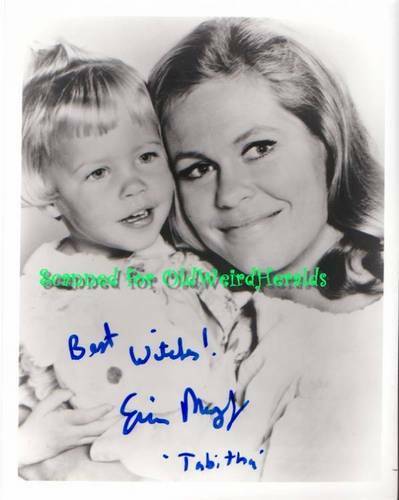 A signed photo of Elizabeth and Erin as Sam and Tabitha. HD Wallpaper and background images in the Bewitched club tagged: elizabeth montgomery samantha stephens erin tabitha bewitched 1960s tv series photo. Erin could have easily passed for Elizabeth's real daughter. They are a like,it's strange how two people can look a like and not be related.